Summer is still months away, but Disney World is getting ready for an ‘Incredible Summer’ with new experiences coming to all four Walt Disney World theme parks. 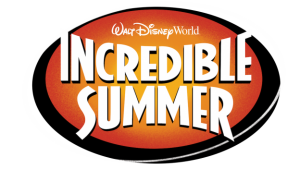 At the Magic Kingdom, The Incredibles are taking over the park to celebrate the theatrical release of The Incredibles 2 on June 15. Guests can party with Mr. Incredible, Elastigirl, and Frozone and Edna Mode will also be making her theme park debut. And each night guests can enjoy a DJ Dance Party in Tomorrowland. At Epcot, Star-Lord and Gamora from Guardians of the Galaxy will be hosting a party with tunes from Awesome Mixtapes 1 and 2 – creating some excitement for the new Guardians of the Galaxy attraction. Disney’s Animal Kingdom will welcome two new attractions for the park’s 20th anniversary – Explorers Meet UP! A Great Bird Adventure and A “Dino-Tastic” Celebration for Donald Duck. And finally, Toy Story Land is opening this summer at Disney’s Hollywood Studios. The new land will feature two new attractions, a new quick service restaurant, and an additional track for Toy Story Midway Mania.